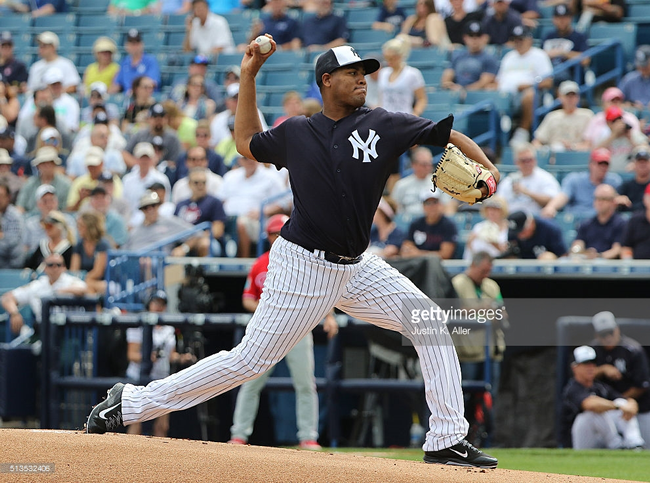 From Yanks Go Yard: Who’s the Fifth Starter so far? So I recently got a new gig writing about the Yankees for Yanks Go Yard. This my latest post. I’ll hit you with an excerpt, and you can read the rest on the YGY website. So far this spring, the Yankees have maintained that their fifth starter spot is up for grabs. If we are to believe that they are telling the truth about this, then let’s examine the candidates and see who is winning. First of all, let me be clear in stating that I don’t believe the spot is open. The guys over at RAB did a good job of breaking down why, so I don’t want to get into too much detail, but you don’t pay a guy $25 million dollars to be the fourth lefty out of the bullpen. Unless C.C. Sabathia gets absolutely hosed all spring long, and someone else shuts everyone out this month, I’m fairly certain we’ll see Sabathia every fifth day come April. Read the rest on Yanks Go Yard now!